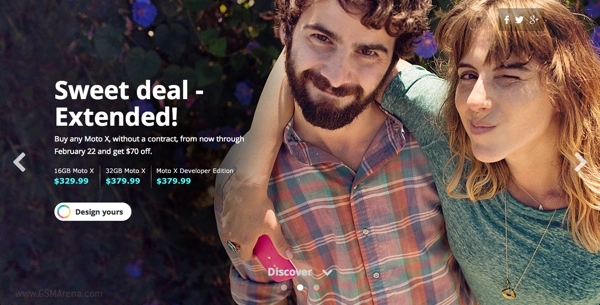 Motorola has extended the discount on the Moto X for another week. You can now get $70 off from any of the unlocked Moto X models without a contract till February 22. The deal was originally supposed to expire on February 14 but has now been extended for another week. The Moto X has seen frequent price drops in the past since it was launched. The phone initially launched at a steep price of $499, which after a slew of discounts was permanently dropped to $399. Now the cheapest 16GB model can be purchased for $329 and the 32GB standard and developer edition models for $379. It's safe to assume a bigger, more permanent price drop is coming soon but until then, this is your best bet. I'd say focus on using one language correctly before you start complaining about a lack of other languages to misuse.